After weeks of contemplation and preparation the time has finally arrived! My shop on Etsy has opened today and what better way to celebrate the occasion than by hosting a giveaway? To make it extra special there are going to be three winners who will each get to pick their choice of one of the images on offer in my shop. 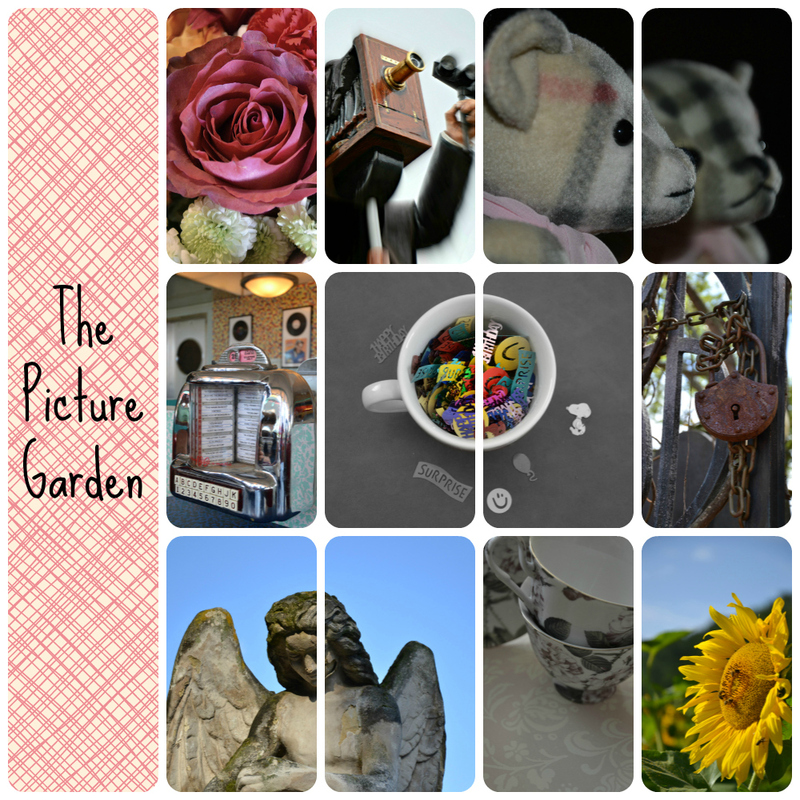 Please note: I sell image file downloads, so you will not win an actual print. Of course, in times of horrendous postage rates and the convenience of printing at home, at your local print shop or through one of the many online printing services, you'll have quite a few possibilities of what to do with the image you choose. Think a whole stack of postcards or maybe a poster or two. There are only two mandatory entries, non of which will ask for any jumping through hoops. I'm not a big believer in asking folks to follow my blog to be eligible to win as there's no sense in forcing anyone into the good old follow-unfollow-shuffle. Still, if you like my blog (which is relatively young and still a bit green behind its blog header) and decide to follow after all, that is obviously much appreciated. 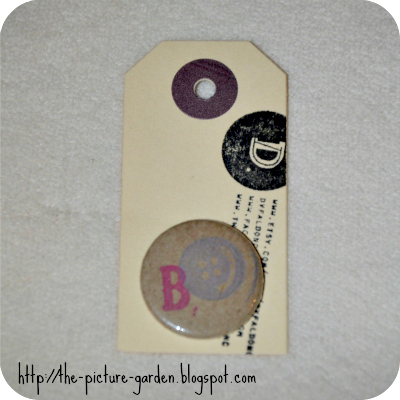 And in case you like what you see in my shop, how about a coupon code? Fine print: Winners may use images for personal, non-commercial, purposes only. Personal use includes: art prints, postcards, desktop background, etc. You may NOT share, sell or otherwise transfer an image or claim it as your own. Can you ever be too old to indulge in sweet sentimental gifts? Of course not! So how was I to resist the adorable temptation this shop from Down Under has to offer? Impossible, really. What's it all about? Helena promises that each bag contains lots of art goodies! You might get some prints, a paper doll set, some writing stationery or a notebook, a tote bag, calendar or one of my wearable art pieces. Each mystery bag varies in size and weight but it will definitely be valued more than the price you pay! Silly me didn't take a picture of the lovingly wrapped grab bag, but trust me, it was almost too pretty to open it. I did however include the illustrated card I received with my package in the photo below - so sweet and I always love such personal touches! Content? My grab bag held all kinds of pieces of the printed-on-paper-kind. I admit I had secretly been hoping to maybe find one of the cute necklaces or even a tote bag inside, but still - I did received a variety of different things which gives you a real good idea of what's on offer in the shop. Most favorite item? That's no secret to those who know me - I do love calendars after all! Least favorite item? The note card as I'm not that much of a cat person. Value? While I did expect more than just four items, I must in all fairness add that the value of the content really exceeds the price you pay by quite a bit. Verdict? If you love the adorable illustrations and have a hard time making up your mind (as do I) then I can only recommend giving one of the grab bags a try! What's it all about? The content of the surprise goody box is worth £25, containing at least 5 products from my shop. 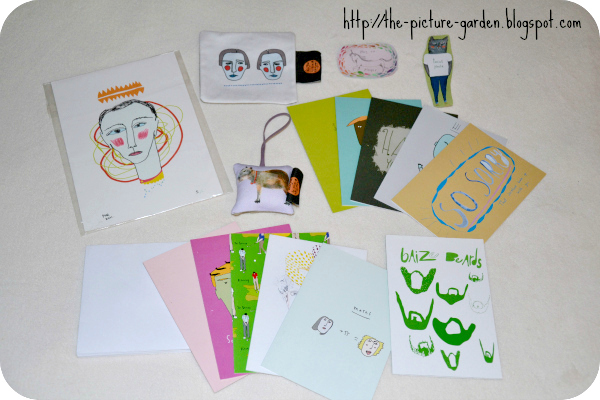 You will receive a hand-selected lucky dip, and your gift box could contain any of these items: Drawstring bags, Prints, Pocket manfriends / pocket girlfriends, Original drawings, Cards, Stickers, Textile items, Pillows, Jewelry, Pocket mirrors, Ornaments. Content? 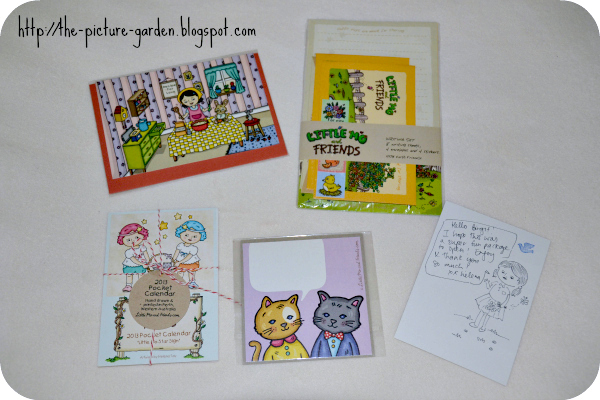 I had already admired the quirky greeting cards in the shop, so I was happy to find a whole set in the box I received. Add a wild mix of other items, all featuring Nicola's trademark illustrations, which gives this lucky dip a great variety. Most favorite item? The coaster. As someone who's always clinging to a cup of tea, this isn't just neat but practical as well. Least favorite item? Admittedly there are two items I'm not all too thrilled about - the capybara ornament and the limited edition print. Value? A great assortment at a really good bargain price! Verdict? As for me, I am quite content with my surprise. Stuff for myself. And gifts aplenty. Yep, that'd be me and my camera! Or rather, me behind my camera, doing one of those mirror reflection self portraits, topped off by a wee bit of editing to give it a more interesting look. 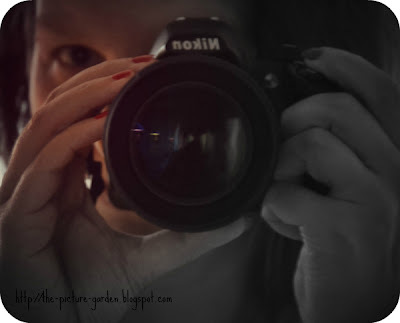 So, I guess it's time to introduce the person behind the camera to you and what better way than presenting a list of things you did not yet know about me (or my camera, for that matter). Obviously I'll take the photographic approach here, because who cares about the names of my pets anyway (actually I don't have any pets, but let's not digress). 1. I still own what today would be called a vintage camera which I took along on a skiing trip from school back in the days. There's still the last roll of film inside, but I honestly don't remember why I never got it developed. Besides, after so many years, ahem, decades, it's a nice idea to think of the film as something like a time capsule which one day my pets will inherit. Oh yeah ... I forgot, I don't have any pets. My bad. 2. While the camera mentioned above belonged to my parents, I received my very first camera as a present when I finished high school. It was a Canon which even had two different zoom settings, imagine! It now sits next to the vintage camera, though I did get the last roll of film from that one developed. Oddly enough I don't recall what was on it. Probably vacation snapshots. 3. It took a long time before I even owned a digital camera, a cute little Kodak Easyshare, which to this day I like to keep in my purse, because you never know when you might stumble upon a snap-worthy motif. That one was a birthday present back in 2007. Do you see a pattern here? That's right, I never seem to buy my own camera. 4. Which brings me to yet another digital pocket camera, a shiny new and gorgeous blue Lumix camera, which I happened to win in a sweepstake almost two years ago. Believe it or not, it still sits in its box untouched. 5. Only a few weeks later, which also kinda explains why I never used the camera I won, I received my treasured Nikon D3100 as a present from my Mom. Despite playing around with it for so long now, I still discover new things about that camera, and even more so, I am learning so much about photography each day. It might be a drag to carry this baby around, after all it's not exactly a lightweight, but the pain it has caused my upper arms and neck muscles is totally worth it. I just realized I told you more about my history in cameras than about the finger that's responsible for those moments frozen in time. Well, that finger and/or the person attached to it will certainly spill some more photographic beans in the blog posts to come, so stay tuned! If there is one thing I'm not than it's being averse to shopping outside of my comfort zone. All right, that probably raises one or two question, so let's just say that up until now I thought of my grandma's living room decoration when someone mentioned cross stitch. Honestly, why did I ever feel that way? Not a chance I'd share my haul with grandma! Obviously, and this is something I always end up doing, I couldn't just order one, so three it was. Considering the price, who could blame me? Before I even had a chance to open my three grab bags my eyes already fell on the gift Sarah included for me - an Initial Pin and a Mail Pin! 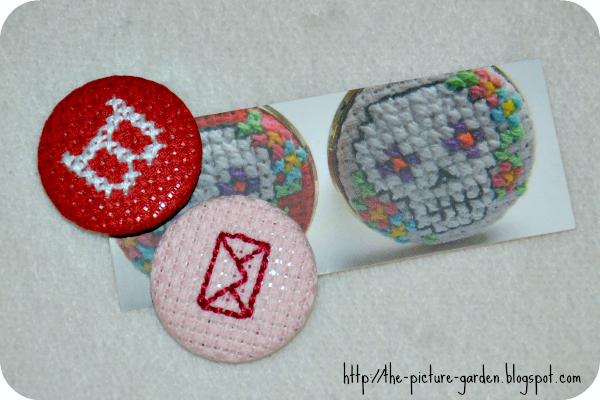 Not only is that a lovely gesture, those pins are just so sweet too! Content? Wrapped up individually there really was no telling what may hide inside, and when I opened the three grab bags I was surprised by two pairs of earrings and a ring. See how the former are attached to old playing cards? Love that idea! Most favorite item? 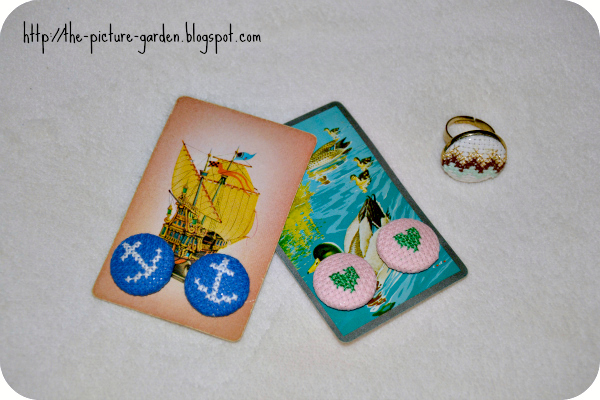 That must be a tie between the nautical earrings and the chevron ring. Least favorite item? The heart earrings, mostly because the color combination isn't really to my taste. Value? Amazing! I mean just go ahead and check how much such items would normally cost! Verdict? Looking for some sweet little treats for yourself and/or a friend? This is the place to go. If you asked me if I had any regional preferences when it comes to shopping on Etsy, I'd have to admit I do have a soft spot for European shops. And luck would have it that I grabbed a few surprises lately which all originated in the UK. What's it all about? According to the listings bag no.1 consists of a Necklace, a Brooch, a Ring or it could be a Necklace and 2 Brooches; bag no. 2 is filled with either a Necklace, a Brooch, a pair of Earrings or it could be a Necklace, a pair of Earrings, a Keyring; and bag no. 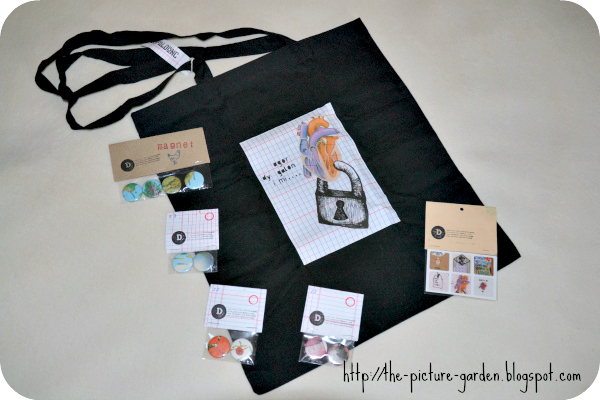 3 holds a Cotton Tote Bag, a 12 Mini Sticker Pack, a Set of 4 Magnets and three Sets of 2 Badges. You know how it is, why only take one when you can have all three? Content? As different as the three grab bags are, there is an underlying "heart" theme, which admittedly I'm personally not overly fond of. Maybe a not-so-lucky dip? Read on. But before I even get started on what was inside my little bags, I must say I was already delighted by the Alphabet Initial Pin Button that was included as a gift, yay! Most favorite items? From Bag I it's the cute brooch, from Bag II the sweet little button earrings, and from Bag III the magnets and pins made of world maps (I do love to travel after all). Least favorite items? In Bag I that's the heart necklace. From Bag II it's both the heart necklace (again) and the keyring, because as mentioned above, the hearts aren't really up my alley. And in Bag III it's those pins featuring teeth, yuck! Value? You do get your money's worth and then some. Verdict? Are you a fan of shabby chic? 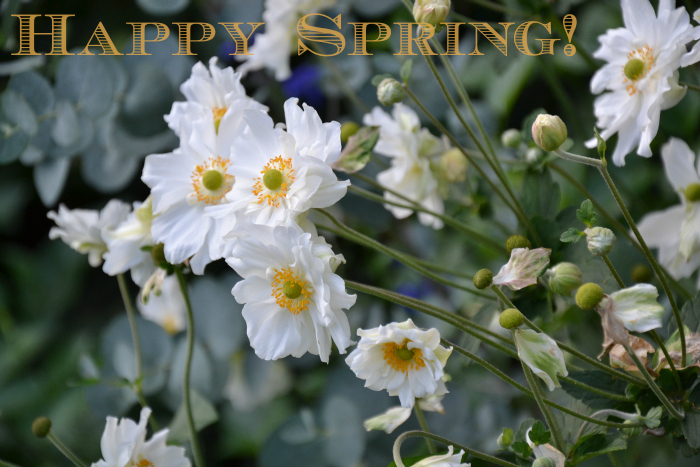 Then this is definitely for you! 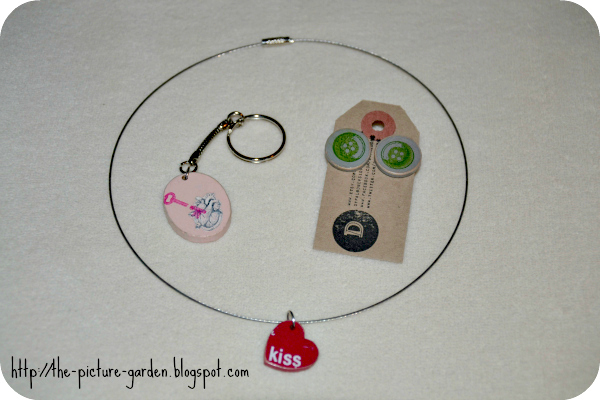 Admittedly I will be using most of the items for gift purposes, but that's perfectly ok.
What's it all about? The listing claims that each order will consist of 8 pieces. It could be anything (rings, pendants, earrings, brooches, etc) from last season, overstock, returns (due to stores closing) or have just been hanging around the studio for way too long. The selection will be jewelry made from all types of metals, plastic, cellulose, wood etc plus of course the classic dominoes. You will be guaranteed at least 2 dominoes in this mix! Content? This proved to be such a fun surprise to unpack! I received eight items, three of which were from the classic dominoes collection, and the rest turned out to be a pretty wild mix of jewelry pieces and accessories. Most favorite item? 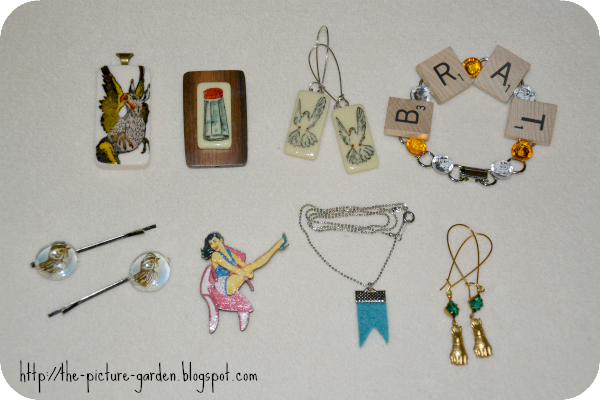 That's a tie between the cute brooch with the salt shaker and the pin-up girl brooch. And the BRAT bracelet gets an honorary mention! Least favorite item? Everything that features birds. Apparently I am not a bird person. Value? This is a real steal! Verdict? I'm really pleased with the content of my grab bag! Some pieces are keepers while others will make fantastic stocking stuffers! When you're on a roll and a skein of yarn is too beautiful to resist, what's a knitting enthusiast to do? Why, grab some needles and get going, of course. As much as I'm a newbie to knitting I am already pretty much set in my ways too. That means, I like to knit the kinds of things that have proven to be easy and rewarding. In other words, anything scarf-shaped with thick needles. This loop scarf is finished in practically no time. I cast on 15 stitches then knitted in what I already consider my favorite pattern, namely Seed Stitch (aka Pearl Stitch) until I used up the whole skein of yarn. For more detailed instructions check out my last Yarn Tales post. And you can rest assured this won't be the last scarf I knitted with this particular yarn. Just too darn pretty! Needless to say, a couple of the other available colors are already on my wishlist too. 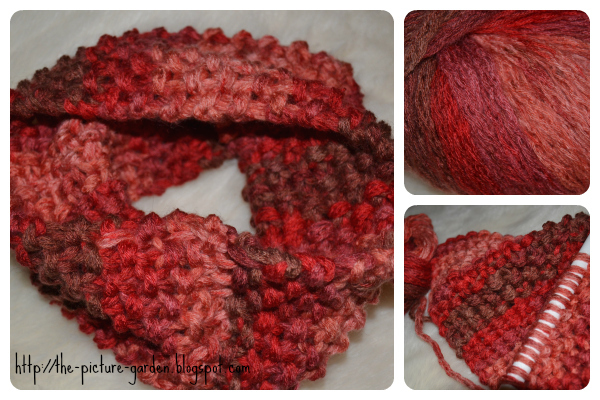 Do you love knitting scarfs as much as I do? What's it all about? A 9x13" shipping envelope which will be filled with everything from hairclips to headbands to shoe clips to other random beautiful things of every color. And Juliette promises to fill it really well! Content? 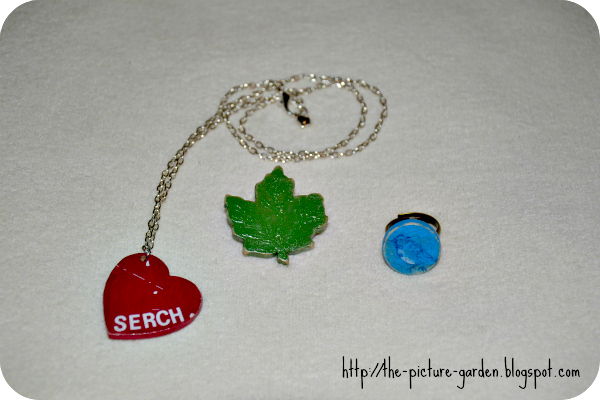 I was amazed at how many items had been packed into my grab bag! Honestly, I didn't expect to receive so much and this certainly made up for the fact that shipping took a while (all right, let's blame it on the Christmas season, because I bought it around that time last year). Most favorite item? 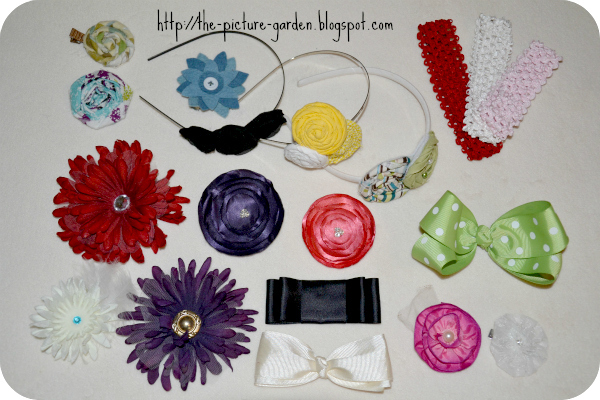 The super cute white/yellow rosette hairband is the winner for me! Least favorite item? I'm not all that fond of the green polka dot bow. Add the set of three baby headbands is something which I simply do not have any use for. Value? Talk about a bargain! Verdict? I'm more than happy with my purchase! Most of the pieces are keepers and additionally I now have a nice supply for gift purposes too! The Etsy Venture - Welcome to the Postal Bermuda Triangle! Looking at all my Etsy orders that "got lost" in the mail recently, I'd say that receiving an empty disemboweled envelope earlier this week was definitely the cherry on the cake! The thing is that over the years I rarely had things disappear in the Postal Bermuda Triangle, but this is getting ridiculous and tastes a bit too much like a coincidence if you ask me. Thinking back over the last two years I can count on one hand the things that never made it to my doorstep. In fact, only two incidents come to mind, and in both cases it was not an order but a prize I had won from Etsy shops and nothing got lost in the mail, because the sellers decided that the free PR on the blogs, where I had entered and won the giveaways, was great yet they didn't feel like actually sending out a prize, thus ignoring me and/or the blogger. Let's call these folks Black Sheep Sellers from now on! Then, around Christmas last year, things started going awry. Stuff got lost, one by one. The first time I just told myself, these things do happen after all, if only once in a blue moon in my case. The second time I figured it was just a stroke of bad luck. And totally unexpectedly the sellers in both cases were kind enough to send out a replacement prize because I never received the initial package. Honestly, this is nothing I had expected or would even have asked for! Of course then it happened a third time and again the seller insisted on sending a replacement, but that never arrived either. I fear the moment when that seller asks whether I had now received my prize. I'll probably hide underneath the covers and not say a word, because the last thing I want is for her to send another package into the hungry abyss known as the Postal Bermuda Triangle. I guess it shouldn't have come as much of a surprise when my own orders started disappearing as well. Feeling awful about the whole experience is something both buyer and seller will go through. It's as much fun to contact a seller, telling them the bad news, as it is receiving such a message from a buyer. If you think a root canal is fun, that is. So far I've only had wonderful experiences with accommodating sellers who were really nice about the postal disaster and for that I am truly thankful. Bottom line is that with my track record I wouldn't want myself to shop in my shop, if you know what I mean. I can only hope that this run of bad luck is finally coming to an end rather sooner than later. I mean is it really to much to ask for receiving my goodies and saving sellers from that kind of trouble? Guess not.